Begin the day with a special tour of the exhibition 100 Years of Printmaking in San Antonio: Kent Rush led by the artist. 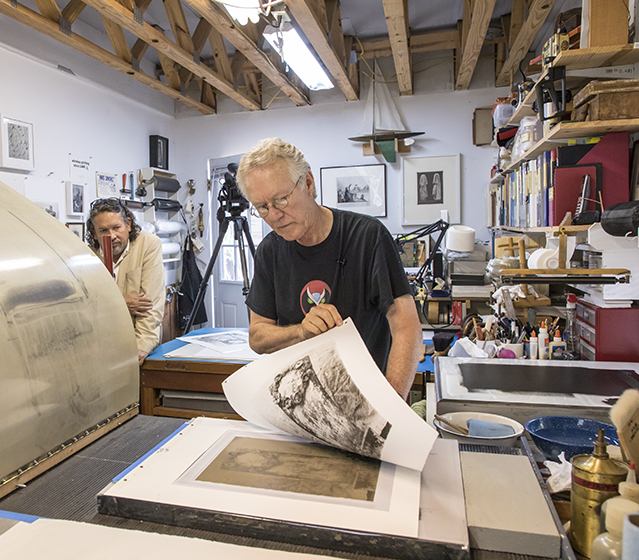 The workshop continues at Rush’s nearby studio where attendees participate in a lithography demonstration. Teachers receive three hours of continuing professional education credit. Space is limited and registration is required. Fee (includes museum admission): McNay members $15; nonmembers $35. For more information, email education@mcnayart.org.